This is going to be a long, but fun. I promise it will help you to earn more from your blog. In particular, if you are using AdSense, Media.net, or another similar ad network, you are going to love learning about Ezoic. Exactly where to put your ads. Which displays sizes to use. Which advertisers to work with to make the most money from your blog. That would have a direct impact on the amount of money you make from your blog, right? For example, what if you found out that the way you’re currently displaying your ads isn’t optimal? If you changed to a better way, you could instantly make more money without needing to increase your blog’s traffic. That’s exactly what Ezoic is trying to help with. 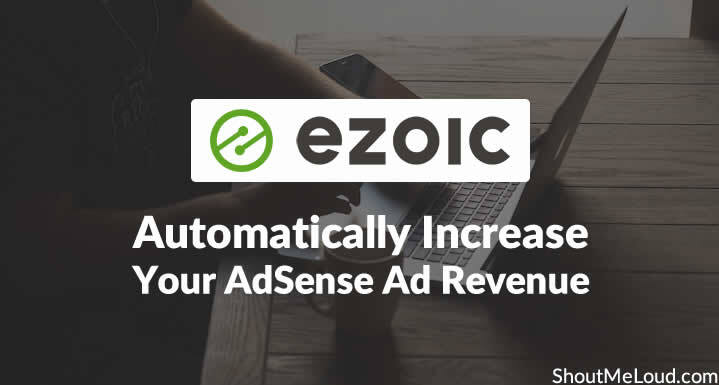 Ezoic lets you test ad placements, sizes, and publishers to find the combination which makes you the most money. 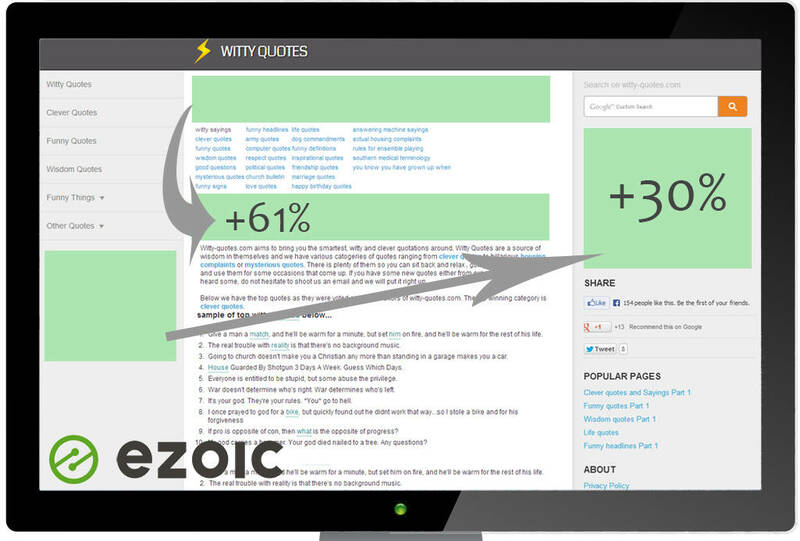 Ezoic claims that most websites see a revenue increase of at least 50% from implementing their optimization. In fact, they’ve worked with over 21,000 websites. Those websites increased their revenue by an average of 115%! And while the focus of this review is on ad optimization, Ezoic can also help you test your site’s layout and content, too. Let’s take a look at why this tool is so helpful and how you can start using it. To make more money : I know, this one is obvious. It’s what most website owners are looking for when they test anything on their site. And testing is a really good way to optimize the amount of money you make from your blog or website. To optimize user experience : This reason is one people might not think about as much. But what if you found out that one set of ads caused people to leave a page right away? Maybe the two sets of ads you’re comparing make the same amount of money per page view, but one offers a much better user experience. Knowing that is equally as important for your blog. By maximizing your user experience, you can keep your readers coming back. Testing ads are easy. All I need is a simple A/B test and I will know which one is better. Those basic tests aren’t taking into account all of the important variables. They’re not maximizing your money as much as possible. Testing ads the right way is actually pretty difficult (without help). And if you care about getting accurate results and really making more money, you should want to do your testing the right way. 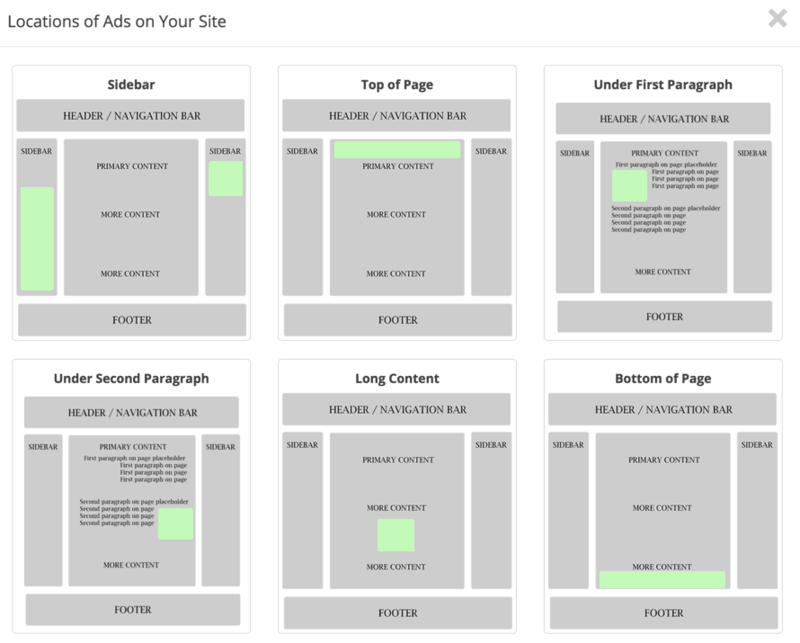 You probably have multiple ads per page. So if you only split-test one placement at a time, you’re not getting an accurate value. You only see the difference for that one ad placement. What you need to care about is how much money the entire visit makes, which includes all of your ad placements. You need a way to compare all of the ads on one page at the same time. Maximize the money you make over the entire visit. Usually, your readers will click through to more than one page. So you need to be able to compare the money you make per unique visit. Option 1 makes you $1 per page view. Visitors who see Option 1 usually view 3 pages. Option 1 = $3 per visit ($1 x 3 pages viewed by the visitor). Option 2 makes you $.75 per page view. But visitors who see Option 2 usually view 5 pages. Option 2 is = $3.75 per visit ($.75 x 5 pages viewed by the visitor). If you only looked at earnings per page view, you would think Option 1 was the best. But really, Option 2 makes you more money. That’s why running these detailed tests can put more money in your bank account. But it seems complicated and time-consuming, doesn’t it? Running these tests yourself would be incredibly difficult. That’s why Ezoic is such a valuable tool. 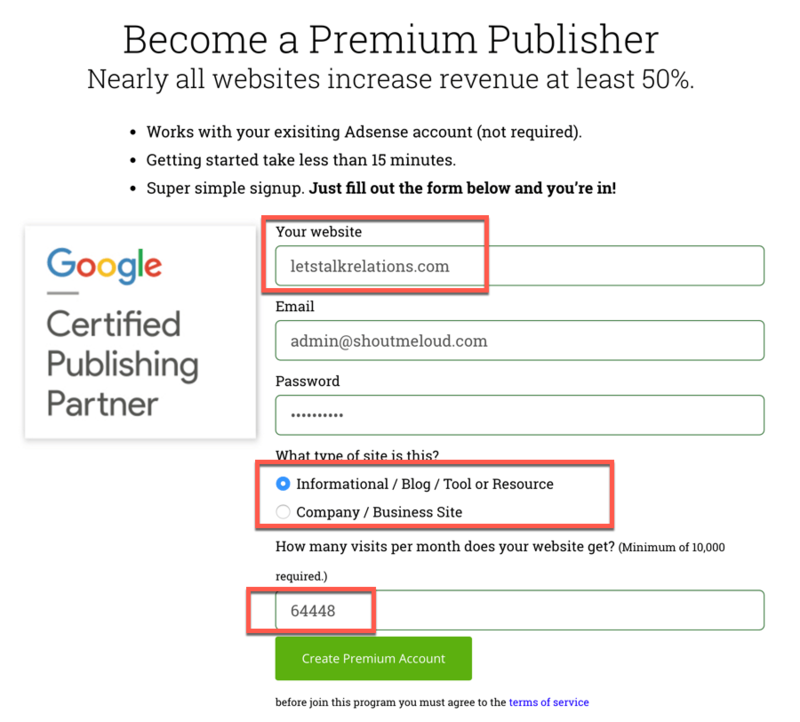 It automatically runs all these tests for you, so that you can be sure you’re making as much money as possible from your blog’s ads. Now that I’ve told you why Ezoic is so beneficial, I’ll show you how to integrate Ezoic on your blog. Create an account & link it to your blog using CloudFlare. Add the Ezoic script to your blog’s header. 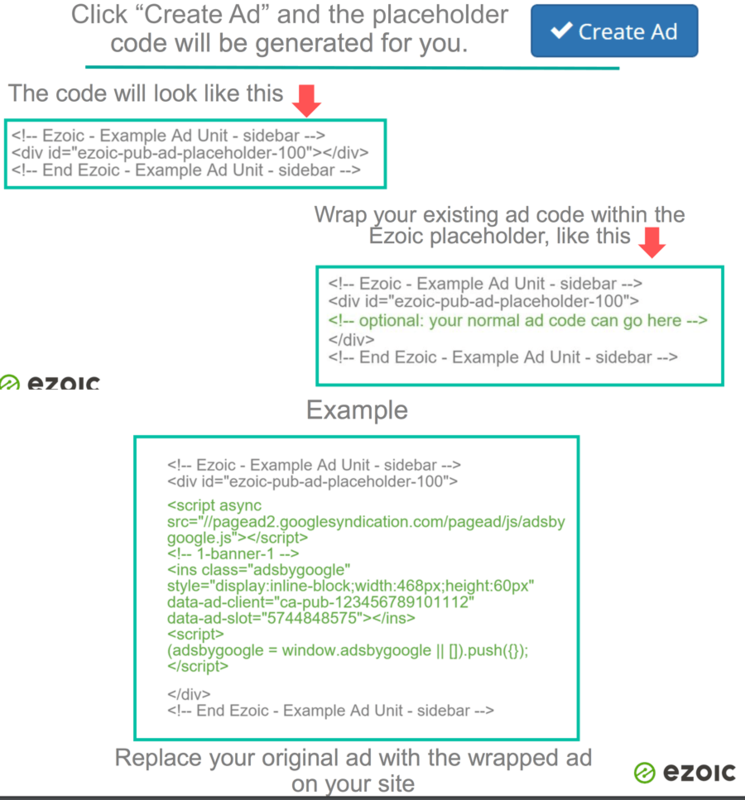 Convert all existing ad units to serve via Ezoic, and create new ad units. Apply for Google’s Ad Exchange program. Start using the Ezoic Ad Tester. Note: Sub-domains are not supported. So if you have a .blogspot domain name, ensure you get a custom domain name. If you are already on a self-hosted WordPress blog, you are good to go. 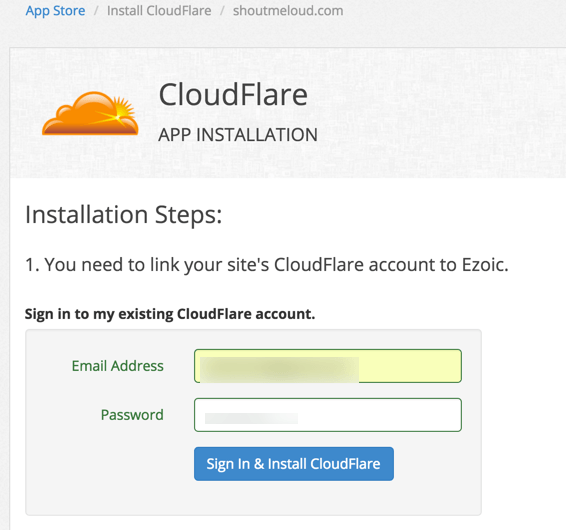 The first step is to connect Ezoic to your site. Ezoic works with any platform as long as your website is on the root domain & not the sub-domain. Click on “Integrate Your Site” to get started. 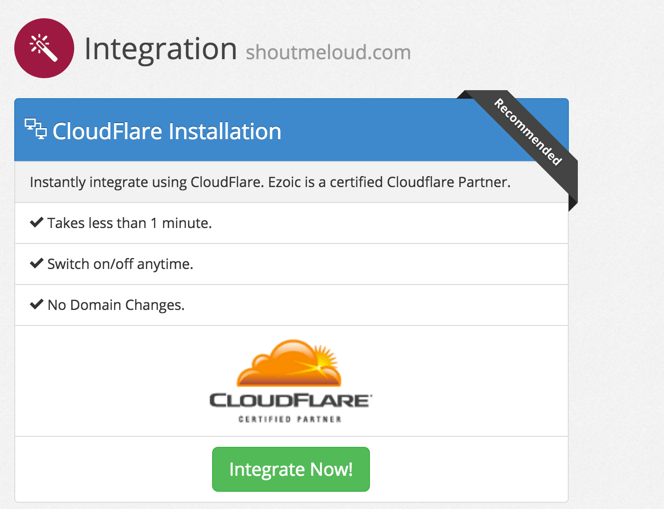 The best (& fastest) way to integrate Ezoic to your site is by using CloudFlare. Once this is done, go to the “Integration” tab over here. For me, this is a must. CloudFlare makes everything much safer. 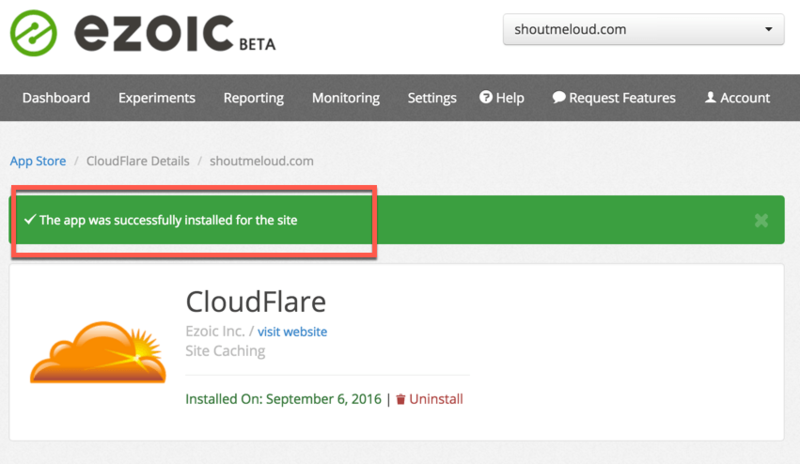 You’ll also have to go through a few more setup steps that Ezoic will help you with. They mostly involve adding some code snippets to your site so that Ezoic can work properly. I think beginner bloggers may find it difficult to add these code bits, as some of them require a decent amount of code knowledge. For example, you need to be able to wrap all your existing advertisement code in Ezoic snippets. If you are using WordPress, you can use the free Header & Footer WordPress plugin to add these codes. Once you add the code, click on “Continue to Step 2”. Pay good attention here as this one is important. I hope you are aware that AdSense has lifted the limits of the number of AdSense ads on a page. But you still don’t want to make your page unreadable because of too many ads. If you already have an ad, you need to wrap those ads within the code generated after clicking on “Create New Ad Units”. Once you are done replacing all existing ad units on your site with this wrapped ad unit, it’s time to add more ad units. With Ezoic you can run more than 3 ad units. I would suggest to keep it at 5-6 maximum so your site doesn’t look cluttered. In my case, I’m selecting 4. Now, I will create a new ad unit using Ezoic & will place it in my WordPress blog’s sidebar. 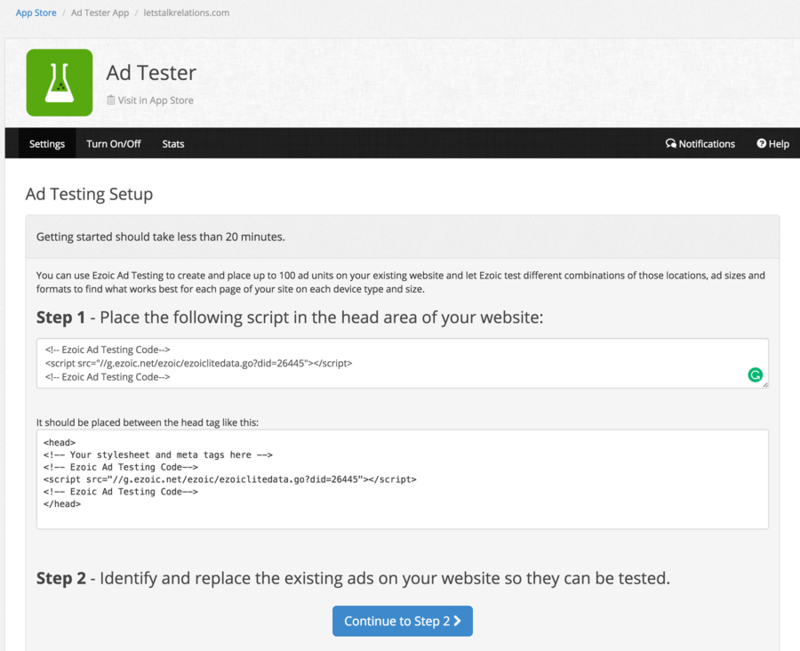 Under “Ad Tester”, click on “+ Add Display Ad Unit”. On the next page, select what ad unit you would like to create (refer to below image for better understanding). Clicking on “Create Ad” will take you to the next page where you can get the code. Now, all you need to do is go to the “Widget” section of your blog & paste the code into a text widget. This is a basic step & anyone who has just started with WordPress should be able to do it. 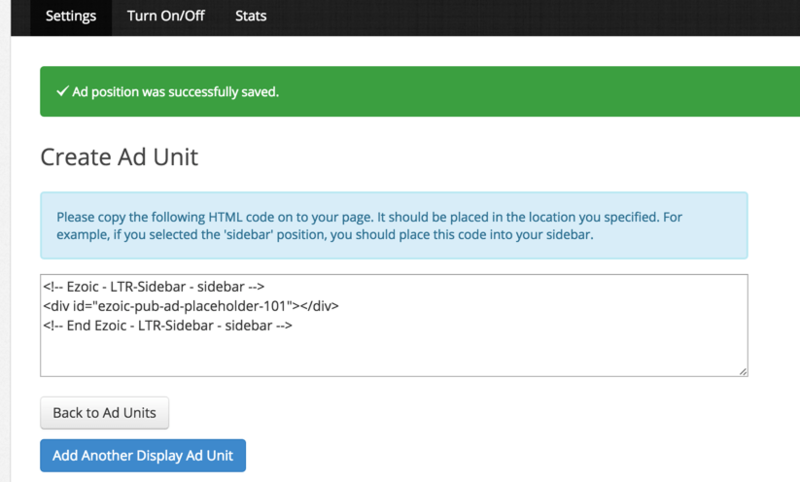 Once you have added the code in your blog’s sidebar, create more ad units & add the codes onto your blog. 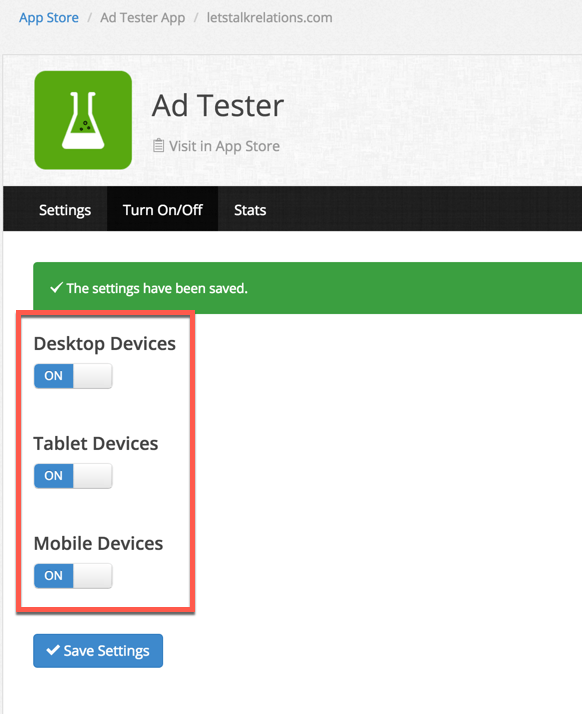 Do ensure you go to the “Turn On/Off” section & turn on ad types for all devices. Click on that, fill out a quick form, and your application will be submitted. Ezoic has some recommended best practices to get the most out of their testing. 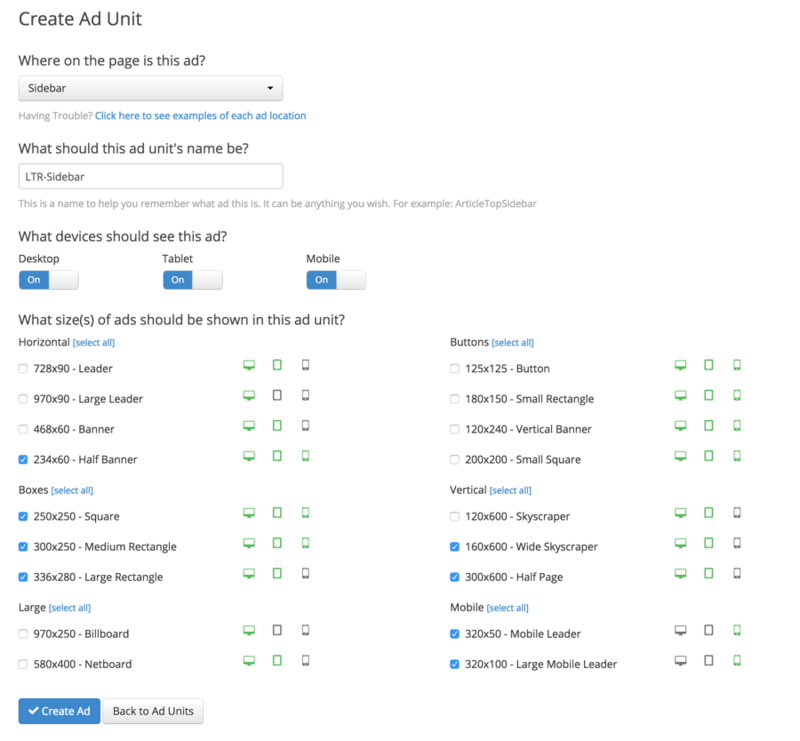 Creating as many ad units as possible. 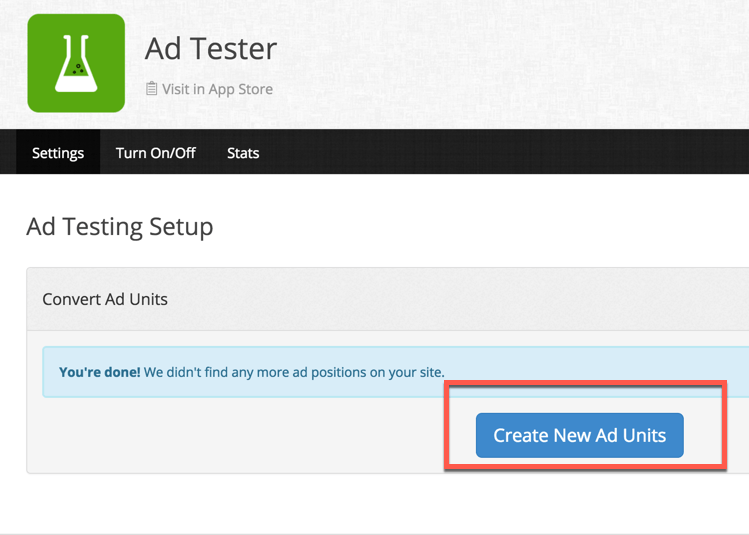 Once your ads are all set up, Ezoic can start running experiments. What Ads Does Ezoic Display? 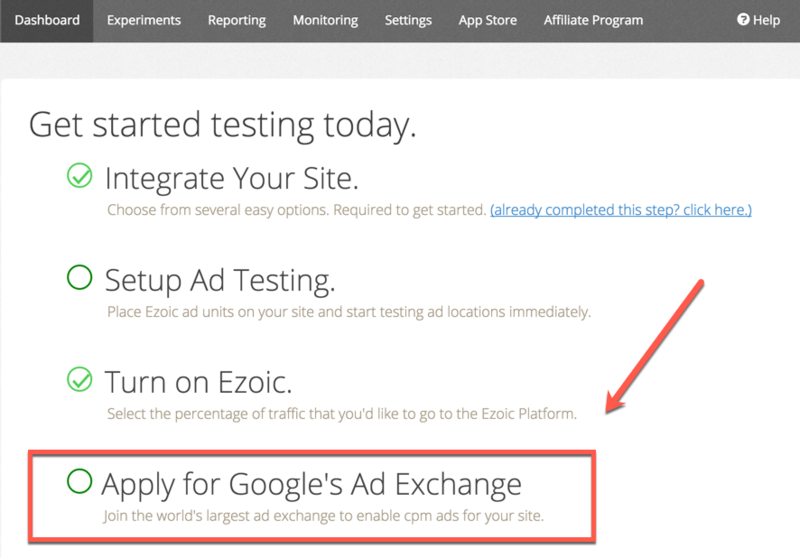 By default, Ezoic has you sign up with the Google DoubleClick Ad Exchange. This exchange allows thousands of ad networks to compete for your ad spots with real-time bidding. What if I’m using AdSense, Media.net, or another ad network to monetize my site; does Ezoic completely replace them? But you will need to install another app into your Ezoic account. 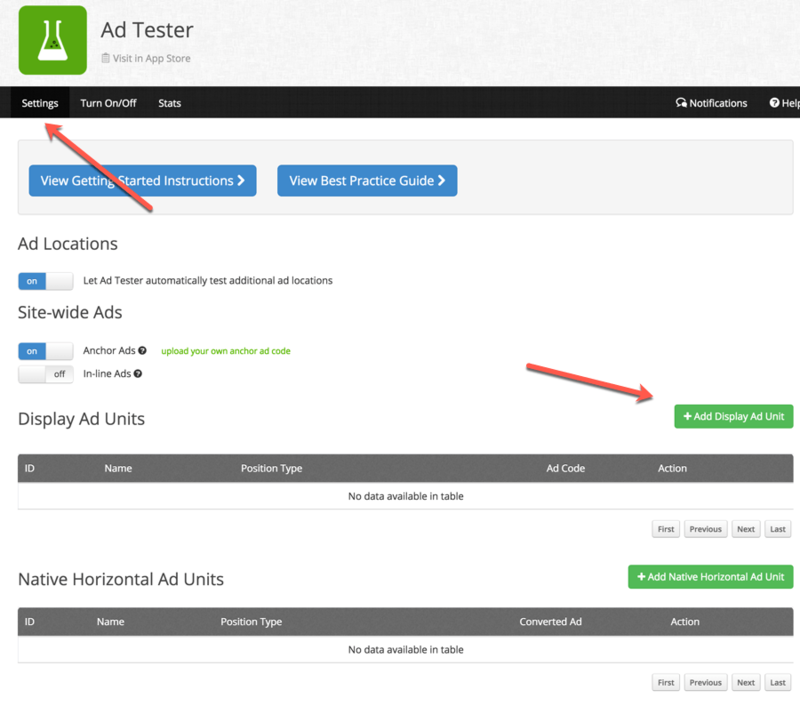 The Mediation app allows you to link your existing ads into Ezoic’s testing. 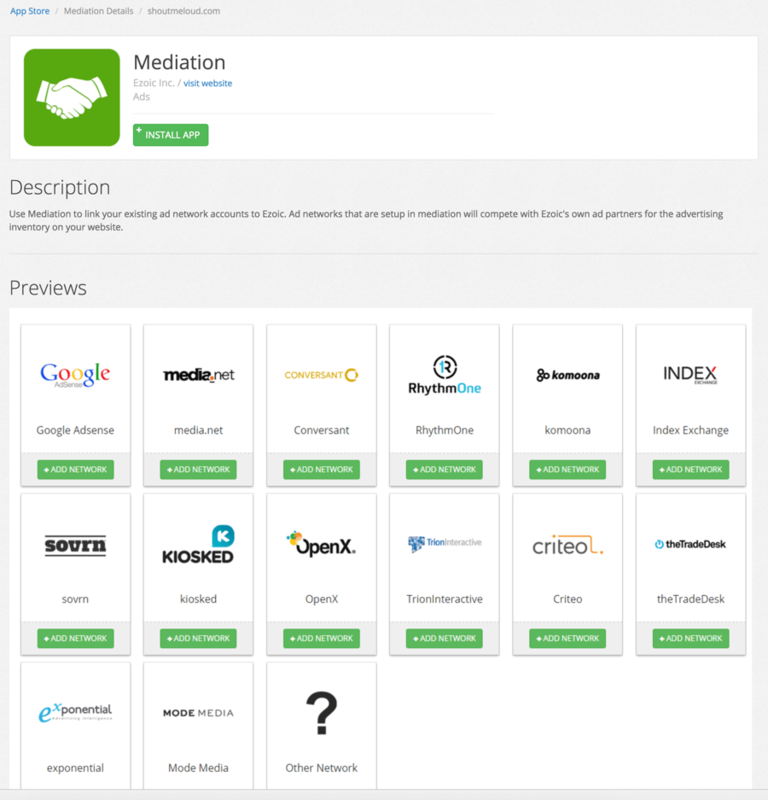 Use Mediation to link your existing ad network accounts to Ezoic. Ad networks that are set up in Mediation will compete with Ezoic’s own ad partners for the advertising inventory on your website. 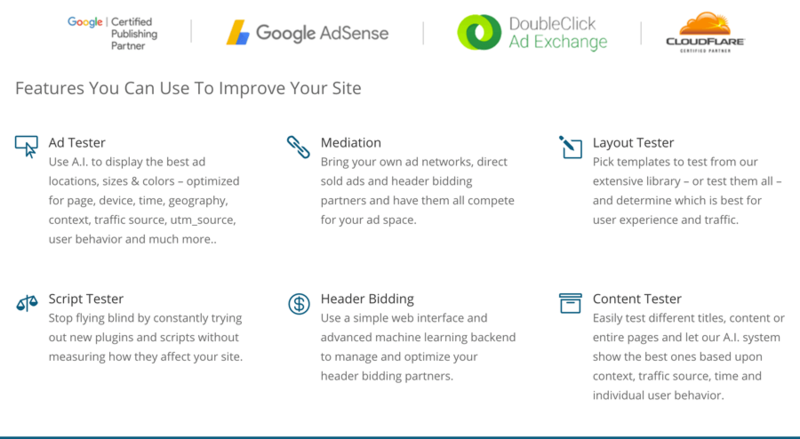 This means that your existing ads will enter the same bidding marketplace as the DoubleClick Ad Exchange. Here is the complete list of ad networks that bid in Google’s Ad Exchange. If your existing ads earn more revenue than the ads Ezoic is testing against, your existing ads will continue to display. Otherwise, Ezoic will display the more profitable options. It ensures you’re earning as much money as possible! The best part is that once you have done the initial configuration, everything else is automated. How Much Does Ezoic Cost? With all of these features that could directly impact how much money you make, you might think that Ezoic is an expensive tool. For bloggers, Ezoic offers a free plan. 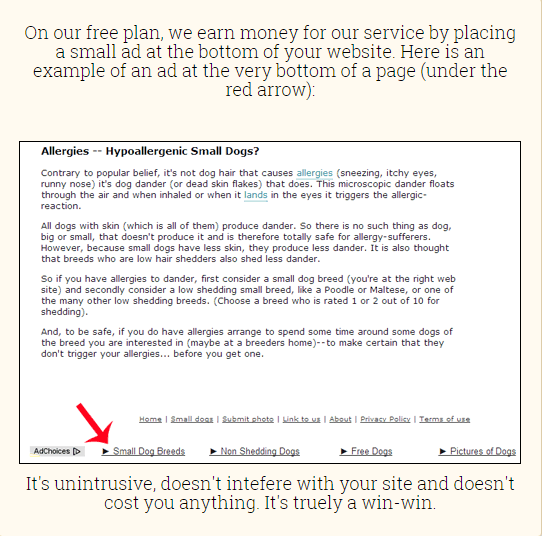 You have to agree to display a small Ezoic ad at the bottom of your page. If you don’t want to display the ad, their paid plans start at $49 per month for blogs with up to $1,000 in monthly revenue. Once you start seeing good results after using Ezoic, I would suggest upgrading to the $49 plan. Given that Ezoic claims most site owners increase their revenue by 50%, this is a small price to pay in my opinion. Also, with one Ezoic account, you can manage multiple sites. The minimum payout of Ezoic is $20. 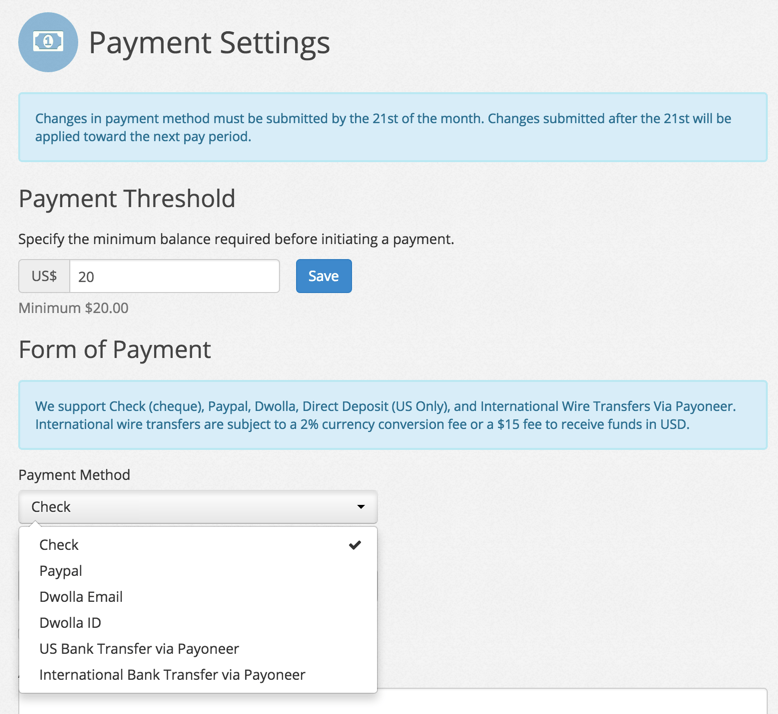 You can get paid via various methods as shown in the below screenshot. Ezoic is an incredibly powerful tool. But it’s also a complicated tool. I have tried to make it simpler for you to understand & get started with this guide. You can always get help from Ezoic’s customer support & over time, I will add more information about Ezoic. If you are making money using AdSense, or Media.net, or any other ad network, you should definitely start using Ezoic. This automated tool will definitely increase your revenue & with their low minimum payout, you don’t have to wait long to get paid. And getting started is free. This tool is only for bloggers who already have some traffic and revenue. While it’s still good to optimize a small site, if your site doesn’t receive a lot of traffic, it may not be worth the time to set up the Ezoic integration. But if your blog is generating some revenue already, I definitely recommend you try to optimize that revenue with Ezoic. I would love to hear your experience of Ezoic. What are your thoughts on how to maximize revenue and make the most out of Ezoic? Let me know in the comments! Do share this tool with others who have a blog; they will thank you for helping them to increase their revenue!